While many are anxiously awaiting the arrival of DC’s Legends of Tomorrow on The CW, another superhero team is disbanding — at least for now. Hulu has cancelled their animated series The Awesomes after three seasons reports THR. Created by Saturday Night Live veterans Seth Meyers and Mike Shoemaker, The Awesomes revolves around a group of superpowered misfits who step in to replace a team of superheroes that’s disbanded. The voice cast includes Seth Meyers, Ike Barinholtz, Taran Killam, Kenan Thompson, Rashida Jones, Bill Hader, Rachel Dratch, and Bobby Moynihan. Debuting in 2013, The Awesomes ran for three seasons and a total of 30 episodes. The final one was released on November 3rd. While there won’t be a fourth season produced for Hulu, the series is being shopped elsewhere. Click here to see many other TV shows that also won’t be back next season. What do you think? Do you like The Awesomes TV show? Do you think that it should have been cancelled or renewed for a fourth season? More about: Hulu TV shows: canceled or renewed?, Saturday Night Live, The Awesomes, The Awesomes: canceled or renewed? I liked that showed and the ending was whack i would cone home and whatck it sowe i think that cancelling the show left me sad sowe that is why you should make a 4 seson and i want to see the baby grow up. Any network that picks up this show, I will be paying good money to subscribe for season 4. The public voices have spoken, listen to us! 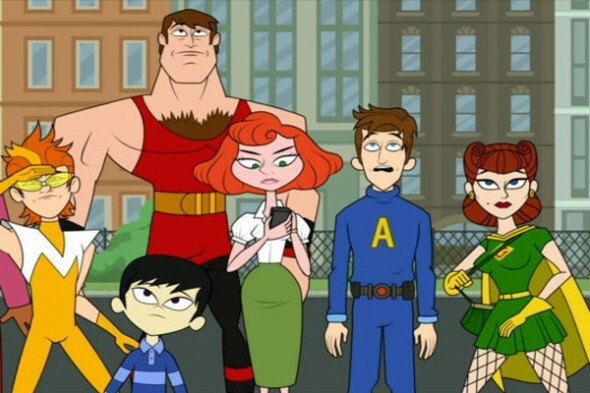 I’m willing to start a petition for the Awesomes to be picked up by another site! Netflix would take them and keep them. I’m even for starting a boycott against hulu! This show is great I hope it gets picked up. Hulu you are about as disappointing as HIV. Smh how can you let a great show like this go?? It’s my favorite show on Hulu and one of the main reasons I got Hulu!!! I’m a fan of The Awesomes… Although I hope this gets picked up elsewhere, Hulu is kind of a last stop. Great run tho!